Cowgirl Up! 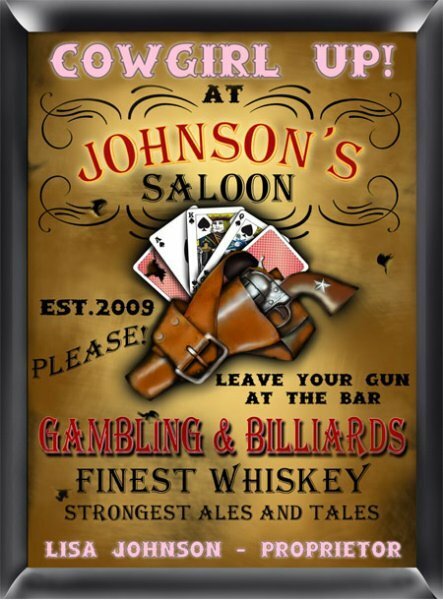 Stake your claim with our Personalized Cowgirl Saloon Pub Sign for your own pub or that of a friend. We make this sign unique by adding the cowgirl's first name, last name and the year it was established. Graphics are reminiscent of old time saloons with a little touch of pink! 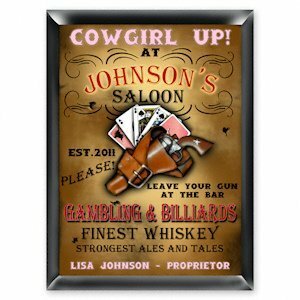 This sign is the perfect gift for every country girl at heart - whether she owns a horse or has always dreamed of it.